Voting for the third phase of the Jammu and Kashmir panchayat elections is ongoing. The polling commenced at 8 am in 2,773 polling stations, including 918 in Kashmir division and 1,855 in Jammu division, officials said. The voting would finish at 2 pm, they said. 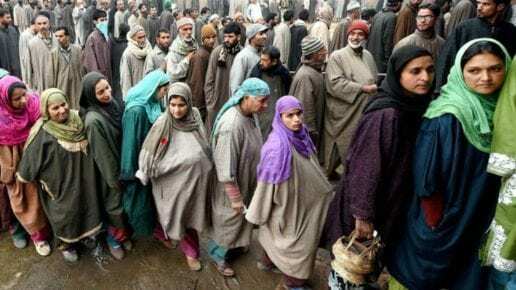 The officials commented 727 polling stations have been categorized as hypersensitive, comprising 493 in Kashmir division and 234 in Jammu division, for the third phase. They also added 5,239 candidates are in the fray for 358 sarpanch and 1,652 panch seats. Ninety-six sarpanchs and 1,437 panchs have been elected unopposed in this phase, they said. The officials added an electorate of 4,23,592 is eligible for voting for sarpanch constituencies while 2,70,668 for panch constituencies. They said all arrangements, comprising security related, have been put in place for smooth conduct of the polls. The nine-phased elections, being organized on the non-party basis, began on November 17. In the first phase of the polls, 74.1 percent polling was recorded across J-K, comprising 64.5 percent in Kashmir division and 79.4 percent in Jammu division. In the second phase held on November 20, overall 71.1 percent polling was witnessed whole the state with 80.4 percent in Jammu division and 52.2 percent in Kashmir division.